Honda will show a CR-V near-production hybrid concept, pictured, at the Frankfurt auto show. Honda is replacing the diesel version of the CR-V crossover in Europe with a full-hybrid variant. European sales of diesel cars are falling as customers are put off by reports of potential bans of diesels in cities to reduce harmful NOx emissions. "Our focus is on electrification for Europe going forward," a Honda spokesman told Automotive News Europe. Honda will show a CR-V near-production concept with a hybrid powertrain at the Frankfurt auto show next week. Its says the prototype previews hybrid technology that will be offered for the first time one of its SUVs in Europe. The CR-V hybrid uses a 2.0-liter gasoline engine mated to an electric motor fed by battery pack. The battery is solely charged on the move with no plug-in device. Honda says it will also offer a 1.5-liter turbocharged gasoline engine in the new CR-V. It said it has "no plans" to offer a diesel. Dropping diesel is a risky move in the European compact SUV segment, where the fuel's share was 63 percent in the first half, according to figures from JATO Dynamics, down from 71 percent compared with 2016 first-half figures. Honda's diesel share was 23 percent across Europe last year, rising to 63 percent for the CR-V, the company said. Honda was an early hybrid pioneer in Europe but dropped its gasoline-electric models due to slow sales in 2014. By returning to hybrid power, the company will be hoping to emulate Japanese rival Toyota, which has seen its hybrid sales soar in Europe as consumers move away from diesel models. Toyota's decision not to offer a diesel version of the subcompact CH-R SUV appears to have paid off after it sold 70,702 units of the car in the first seven months in Europe. Toyota UK said hybrid versions of its bigger RAV4, a direct competitor of the CR-V, accounted for 65 percent of its British sales for the model through August. Diesel versions were 25 percent and pure gasoline models 10 percent. Honda's new CR-V will be built in Japan for European markets, rather than in Honda's UK factory in Swindon, England, where the current model is made. 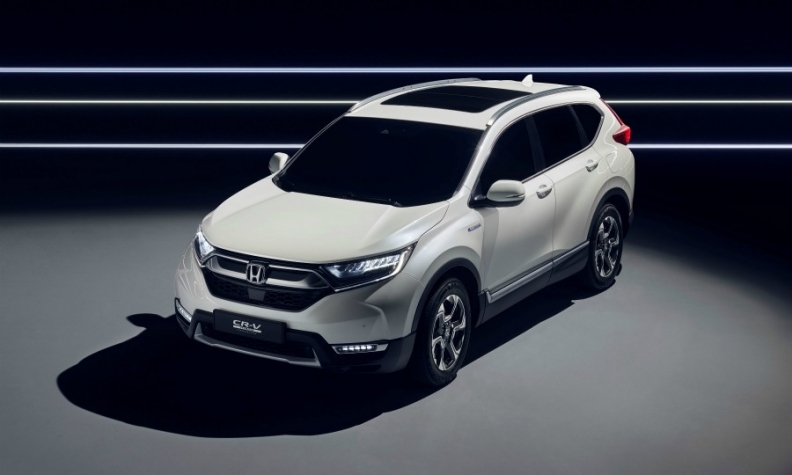 Dropping the diesel will get around the problem of having to export Honda’s 1.6-liter diesel engine to the CR-V production line in Japan from Swindon. The new CR-V will be go on sale in European markets in the second half of next year. Its Frankfurt appearance is the first time the SUV has been shown in Europe following its launch in the U.S late last year.